I was incredibly lucky to take these pictures I am greatly indebted and trainers who allowed me access to photograph their incredible animals. The closure of the stadium after nearly a hundred years is a real blow to them and so many people who come from far and wide to witness the amazing spectacle of watching these animals do what they are born and trained to do which is run, like the wind. 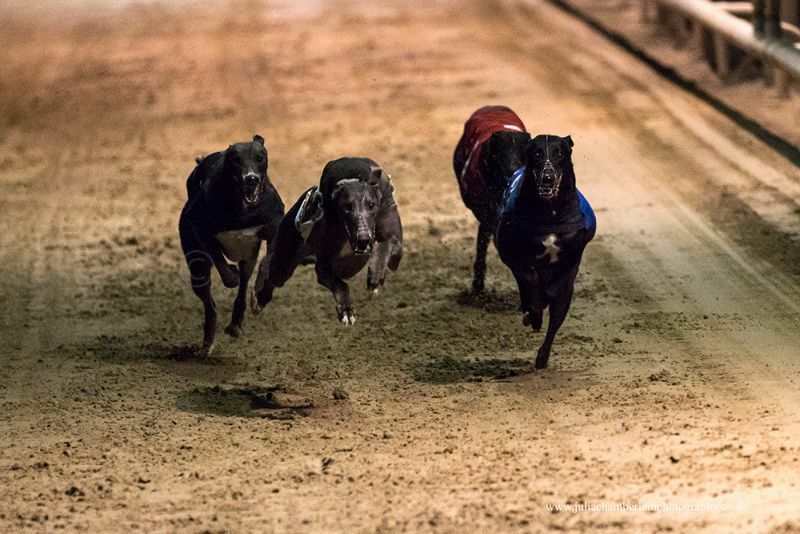 Greyhound racing these days, quite rightly, is heavily regulated to avoid any cruelty and ill treatment, all of the trainers have to sign up to a retirement scheme for their animals when they retire. A vet inspects the dogs before the race and afterwards and is there at all times during race days. I hope these photographs capture some of the close relationship the trainers have with their dogs and their devotion to them.